Two weekends ago, I competed in Pro Tour Rivals of Ixalan, where I played my pet deck for the past two years – Dredge. After graduating University in November last year, I had a couple of months free before starting full-time work this month, so I decided to spend a month traveling Europe. My initial plan was to spend December trying different Modern decks and then to “soft lock” the ones I liked the best before flying out at the beginning of January. While I did try a couple of decks, I ended up being quite busy with work and life and was not able to gain enough experience with any of the decks to feel comfortable playing it at the Pro Tour. During this time, I also worked on Dredge, and while my win rate was the worse it had ever been – hovering around 65%, it was still the deck that was performing the best for me. 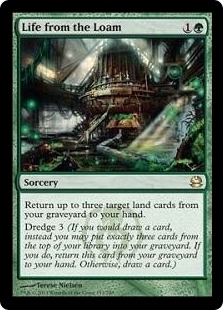 At this point, I knew that Dredge would not be well positioned at the Pro Tour. However, my knowledge and expertise with the archetype, as well as the lack of time to learn something new, meant that it would just be best for me to lock in the deck and try to work on coming up with the best version possible. I decided not to play any games while I was traveling, as I wanted to focus on my vacation. However, once I met up with the rest of the team after GP London, I played quite a lot leading up to the Pro Tour – especially against 5-Color Humans, which we thought would be the breakout deck of the event. 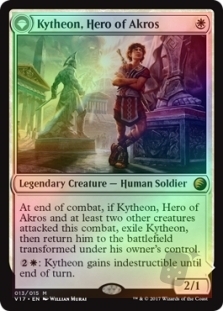 We believed that 5-Color Humans might be popular as we heard rumors that Kytheon, Hero of Akros was bought out by Pro Tour players at GP London and that the Pro Tour vendors had sold out of some of the critical commons and uncommons for the deck days before the event. In addition, we also found the deck to be pretty good in testing – with my teammates Andrea Mengucci and Javier Dominguez playing it to a Top 8 finish with a relatively stock list. We figured that since the stock list of the deck was already good and the deck is reasonably straightforward to play, it would be popular – especially among those who are not that experienced with Modern. Also, we also expected Affinity and Burn to be played as they have historically been popular at the Pro Tour, while Grixis Shadow will be one of the top choices amongst the pro players due to its depth in gameplay, which would also make it one of the most played decks. For those who have been keeping up with my Dredge content, you would know that I have always been a massive advocate for playing 21 lands and Haunted Dead. However, I had also never tried other builds of Dredge and felt that it was vital for me to do so in case I was wrong. Therefore, during December, I played various versions of the deck in a couple of leagues. While my sample size may have been relatively small, I now feel more strongly that the original build that Lee Shi Tian and I built is just the most superior version of the deck – at least for me. One thing I have learned by watching other people play Dredge is that Lee Shi Tian and I seem to approach the deck entirely different to other people. This is something I have discussed in the past, but mainly the big takeaway from trying other versions is that most people try to build their Dredge deck to be more explosive with a lower land count and more enablers, but I still believe that playing Dredge as a control/grindy deck, with the potential for some quick wins, is the best way to play the deck. Unless your opponent is pressuring to kill you, there is no need to play aggressively, because you are so favored in the long game as you can manipulate every draw step while your opponent will eventually flood out. Trying to make the deck more explosive comes at a steep cost of making the deck more inconsistent – and I believe that trade-off is not worth it. If you are looking for a deck that is explosive, you are better off playing a spell-based combo deck like Storm or Grishoalbrand. The main deck I submitted was largely the same as what I have been playing for the past year. 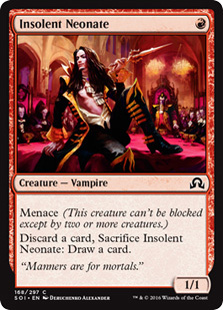 The main change was cutting two Insolent Neonate for two Lightning Axe. 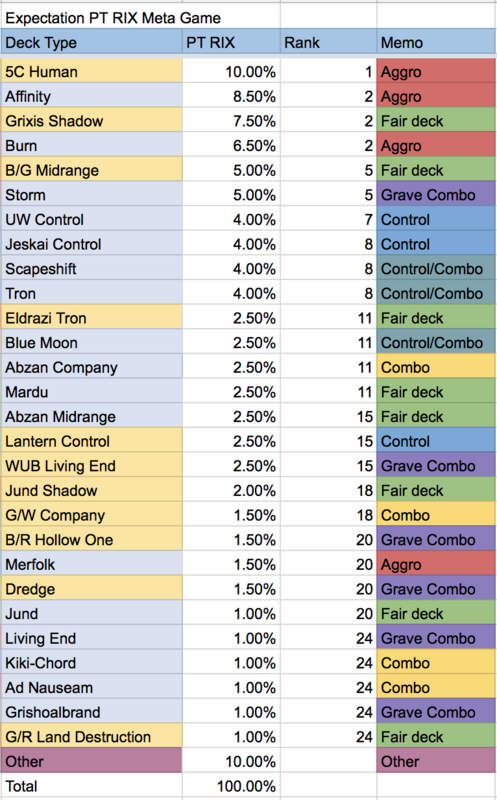 This was largely based on our metagame predictions as posted before, where we expected creature decks to be popular – and Lightning Axe is crucial in those matchups. 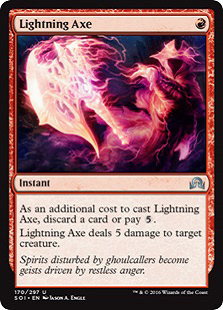 I also found that Lightning Axe is important against 5-Color Humans because the main way I was losing to them in pre-board games was when they were able to create an early board presence or cast a Meddling Mage naming Conflagrate. 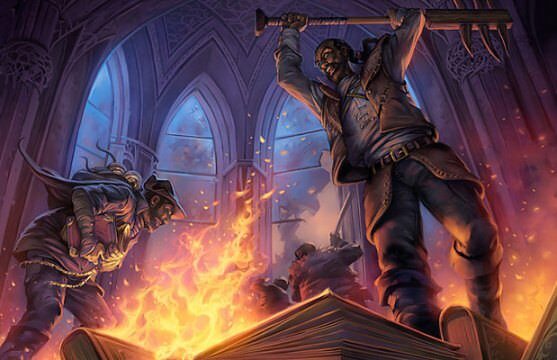 Having access to Lightning Axe helped with both situations – as it could kill Champion of the Parish before it grew too big, or kill their Meddling Mage and untap into a devastating Conflagrate. 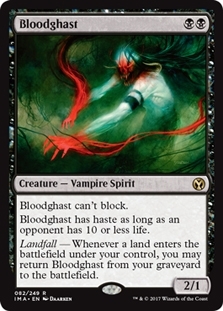 The other significant change I made in the main deck was going back to four Life from the Loam. At GP Brisbane last year, I played the full playset, but I cut down to three for the RPTQ because I wanted access to one Darkblast. While I do like having one Darkblast in the main deck, I also realized that cutting the fourth Life from the Loam was a mistake. The card is just too good – as it makes the deck more consistent and can single-handedly win games by grinding your opponent out. It is also the best card against disruption, as it allows you to build your engine even after your opponent has ripped your hand out of enablers with discard spells, or countered all of them. In fact, I realized that I dredge back Life from the Loam more often than Stinkweed Imp, so it did not make sense for me to not play the full playset. That being said, the big issue I had was that I was not sure what to cut for the fourth Life from the Loam, as I liked having access to one Darkblast. However, Gold Pro Nathaniel Smith was able to show me the way, after he made Top 8 of GP Oklahoma City – where he cut the third Golgari Thug for a second Darkblast. While I knew that I preferred having the fourth Life from the Loam over the second Darkblast, I never thought I could cut a Golgari Thug until I saw him doing it. After making the swap, I found that I did not miss the third Golgari Thug much, while I was stoked about having four Life from the Loams again. Similar to the main deck, I ended up not making too many changes to the sideboard either. In fact, I mostly just switched back to the list I played at GP Brisbane, as I cut the Ravenous Traps because we expected Storm would not be that popular due to the presence of 5-Color Humans, and we did not think Dredge would be played much either as the deck was not well positioned. I suspected that for both of these decks, it would only be played by those who were very comfortable with the archetype and felt confident playing it even though their deck would be ill-equipped against the field. I decided to stick with the six discard spells in the sideboard. At both GP Brisbane and the RPTQ, I played the full six, but throughout most of my testing I cut down to four or five, as I saw most people played very few discard spells in their Dredge sideboard. However, I realized that having the full six is too crucial against combo decks, and most people were playing few because they were not playing them the way I was. My game plan with the discard spells is that I try to dredge early and get some pressure on the board. 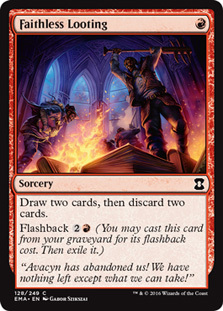 Once I have done that, I start using Faithless Lootings and Cathartic Reunions to natural draw instead of dredging, and try to find as many discard spells as possible. In a way, I try to emulate the GBx Midrange decks' game plan against the combo decks, where they try to pressure with Tarmogoyf and follow it up with a bunch of disruption. By having six discard spells in your deck, you have a pretty decent chance of drawing a couple of them over the game if you use you aggressively use your enablers to try to find them. From what I have observed, most people are solely focused on the dredging plan, which then makes sense to have fewer discard spells as having more of them will dilute your deck. However, I have tried the sole-dredge plan against combo decks before, and I think it is terrible because decks like Storm and Ad Nauseum are consistently a turn or two faster than Dredge. Unless you change your approach to the matchup, you cannot expect to win by just executing your typical game plan. With my sideboard strategy, I have found my matchup against decks such as Storm and Titan Shift to be pretty decent in post-board games. I also added a Nature's Claim and a Maelstrom Pulse as answers to Leyline of the Void. In the past, I have chosen to take a stance of ignoring the Leyline because I dislike having so many Nature's Claim in my sideboard. However, Lee Shi Tian suggested a split with Maelstrom Pulse, which I liked as I wanted Pulse against midrange matchups as an answer to Death's Shadow and Scavenging Ooze. 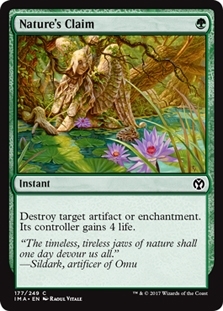 I also did not mind having one Nature's Claim because it was another card for the Affinity and Lantern matchup, especially as I cut an Abrupt Decay for an Engineered Explosives and I felt that Explosives was too slow against Affinity, so Nature's Claim could replace the second Abrupt Decay that I used to bring in against them. As mentioned just before, I cut an Abrupt Decay for an Engineered Explosives. In most matchups, I prefer Abrupt Decay, as Engineered Explosives is quite slow and clunky. 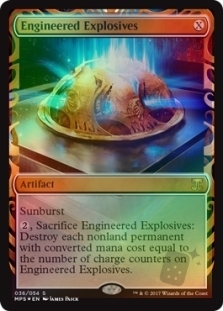 However, the Explosives is better against 5-Color Humans as most of their problematic cards have a CMC of two, and you can also cast it for two mana even through a Thalia, Guardian of Thraben, thanks to how Sunburst works. 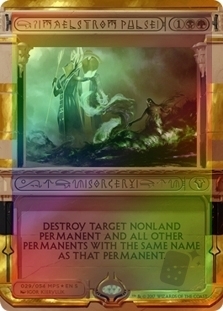 It is also one of the best cards you can have against W/U Control, as it kills Rest in Peace, Spreading Seas and Runed Halo all at once. Abrupt Decay can often be hard to cast through a Spreading Seas, but Engineered Explosives can be cast easier thanks to their aura. 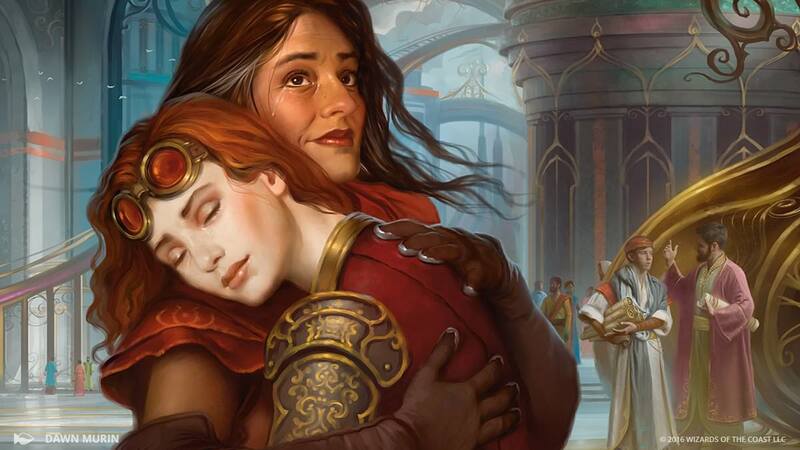 UW Control was also a deck we expected some people to pick up as it was doing well on Magic Online, and we were high on the deck as a team. The final change I made to the sideboard was adding back the Gnaw to the Bone. In the past, I always believed Burn was a good matchup. 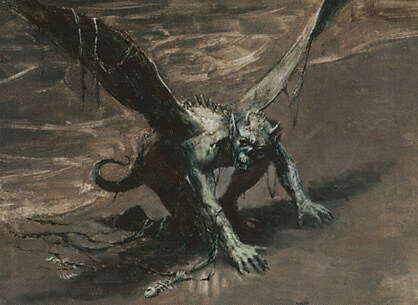 However, I had lost to it the last three times I played it on Magic Online, and so was starting to have doubts. I played a bunch of games against Burn Master Yam Wing Chum, and I found that the matchup is about even now. Due to the loss of Golgari Grave-Troll, Dredge is now much less explosive. It felt like Burn was consistently half a turn faster than Dredge. This meant that whoever was on the play won. Post-board, it got slightly better as we got access to three Collective Brutality and a third Lightning Axe, but not that much better as they also got access to two Rest in Peace. Since we expected Burn to be popular at the Pro Tour, I decided that I wanted one Gnaw to the Bone – even if it is very narrow and only for this matchup. Overall, I did poorly at the Pro Tour. While I did manage to scrape it into Day Two, a poor limited record meant that I was done by lunchtime. Surprisingly, the deck was more popular than I expected – as it was the tenth most played deck with seventeen pilots. However, as I originally thought, Dredge was not very well positioned for the event and did not perform well. Although I did poorly, I am still delighted with my list. Initially, when I walked around the venue during Round 4, I thought I had made a complete mistake with many of my card choices as I saw a lot of top players on Tron. 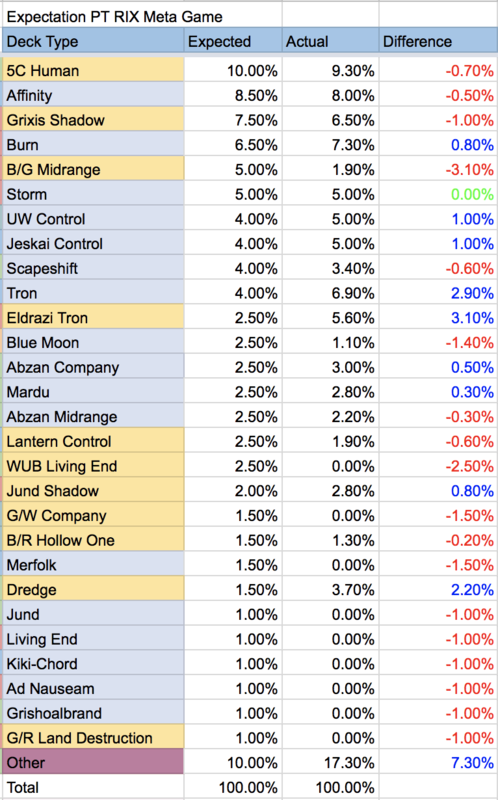 However, once the metagame breakdown was posted, it showed that our metagame predictions were mostly correct – though Tron was more popular than we expected. 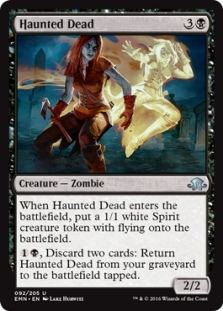 Assuming the metagame remains the same, I will likely not change anything going forward – though I could see adding a Ghost Quarter into the sideboard if you expect Tron to be popular. For reference, here was our expected metagame vs. the actual metagame. Outside of underestimating how popular Tron variants would be, I feel like we close to nailed it – and was rewarded for it with two players from our team making the Top 8! 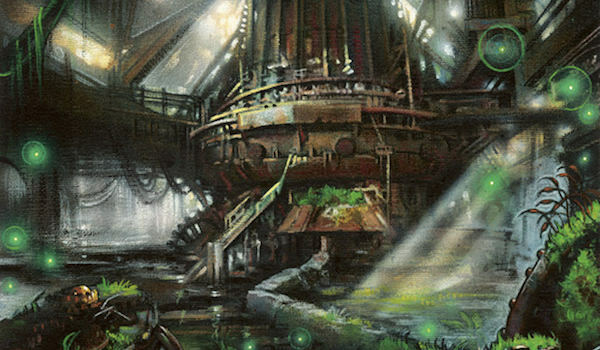 Anyway, I hope you enjoyed this article as I went over the Dredge list I played at Pro Tour Rivals of Ixalan and explained the changes I made to it from my previous versions, and my thoughts on the deck going forward. Next week, I will be posting an updated version of my comprehensive sideboard guide that I posted roughly a year ago. It is the sideboard notes I made for the Pro Tour and is updated with all the new Modern decks!